The Kh-55 Granat and its multiple variants closely resembles the designs of early versions of the Tomahawk cruise missile used by the United States. 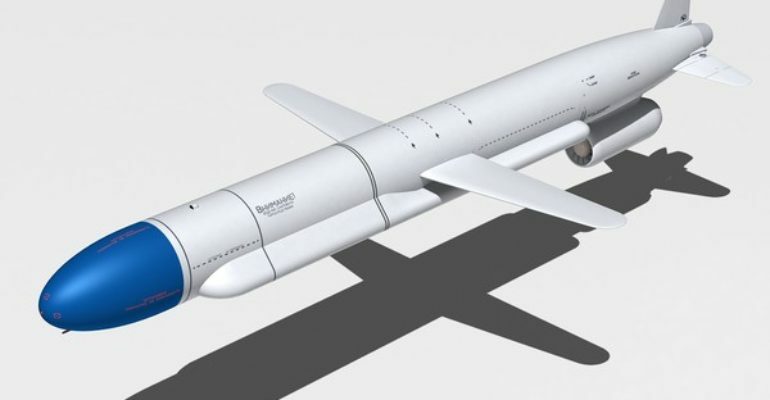 The Russian air launched subsonic cruise missile is carried by long range bombers and possesses the ability to carry a 250 kt nuclear warhead as well as conventional capabilities. The air-launched cruise missile has a max range of 3500 km and uses inertial navigation as well as Terrain Contour Matching. It is capable of traveling at Mach .77 at a cruise altitude of 40 to 110 meters. Despite coming into service in 1984 as a counter to the US BGM-109 Tomahawk, the Kh-55 is still used to this day. Most recently, one of its variants, the Kh-555, was used to strike ground targets in Syria in 2015 using Tu-22M strategic bombers. The recent use of the Kh-555 in Syria against rebel ground targets shows that this cruise missile, with its long range nuclear capabilities, is still a viable part of the Russian nuclear triad. However, more pressingly, its long range and conventional capabilities gives Russia the ability to power project outside of its own region. Long range weapons such as the Kh-555 have allowed Moscow to act as a global power despite much of Russia’s military only possessing short term and regional capabilities. The Kh-55 can and has directly affected the interests of the United States around the world. Specifically, in Syria the Kh-55 and its variants have been used to advance Russian interests, which are not always aligned with the interests of the United States and its allies working in the region.